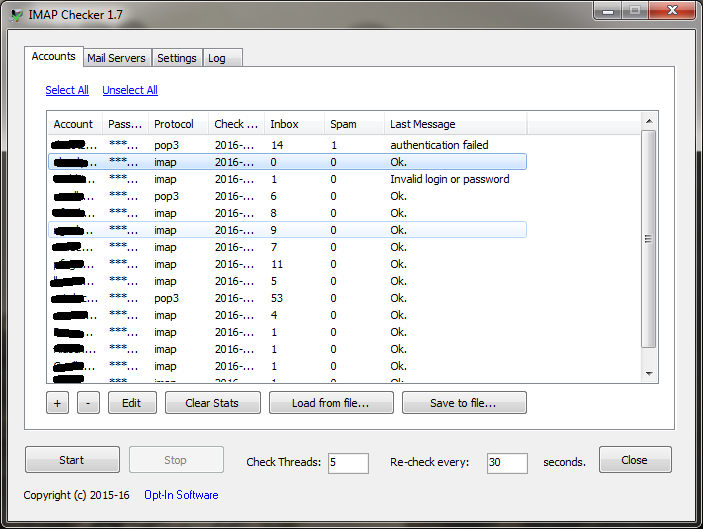 IMAP Checker is an easy multi-threaded IMAP client. 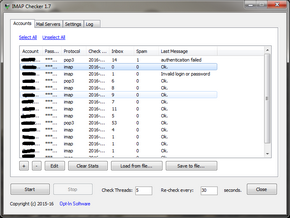 It allows to access mailboxes using the IMAP protocol and count e-mails in the Inbox and Spam folders. Free for private, non-commercial use. If you like IMAP Checker you may like to donate a small amount to help me keep developing and updating. To learn more about Bitcoins, visit the website (https://bitcoin.org) or read more on Wikipedia.